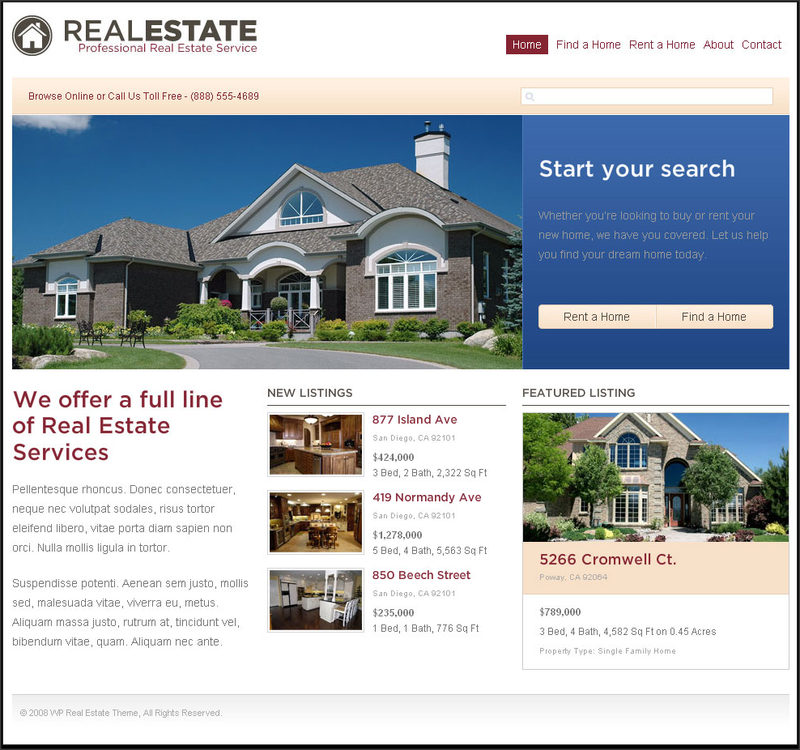 Content Marketing for Real Estate Agents: Can Blogging Help You Sell Homes? It’s amazing to consider the ways in which online marketing has transformed the real estate industry—and if you don’t believe it, consider some of these figures from a 2012 study from the National Association of Realtors. The study finds that more than 40 percent of all home buyers find their dream property via the Internet; nearly as many home buyers find their home by consulting with a real estate agent, and in many cases, these agents are found through the Web. But what about those old-fashioned newspaper ads, once so prized by real estate agents? In today’s world, they account for only 2 percent of the homes found and purchased. What all of this suggests is that, for the real estate sales professional, the Internet represents the best, most cost-effective place to spend one’s marketing budget—by a long shot. Of course, this is something that most real estate agents have come to terms with. The trouble that many have is deciding on the best way to reach leads on the Web. The secret is in understanding that, for realtors, successful online marketing is all about improving visibility. That same NAR study reveals that the overwhelming majority of homebuyers never call more than one real estate agent—meaning that the first agent they come across is the one who gets their business. Additionally, the NAR’s 2013 “Field Guide to Quick Real Estate Statistics” notes that 90 percent of homebuyers use the Internet as a primary tool in their real estate quest. The bottom line? When people want to buy homes, they don’t flip to the Real Estate section of the local paper, and they don’t pick up the print catalogs that are on display outside supermarkets. They turn to the Web, they conduct a Google search, and they seek out a real estate agent who has high visibility—an agent positioned on the Web as someone who is knowledgeable, helpful, authoritative, and, above all available. In many ways, content marketing is the perfect way for real estate agents to position themselves in this way. Content marketing is all about selling without selling—not about constant self-promotion, but rather about sharing helpful and informative content that establishes the agent as someone consumers can trust. As an added bonus, helpful content like this is what Google and Bing favor—so content marketing empowers real estate agents to achieve high visibility and superior rankings on online searches. Share local market data and statistics. What are the “hot” neighborhoods in your city or town? Where can local home seekers find the best deals on the most valuable properties? For buyers who do not know exactly where to begin their real estate search, information like this can be priceless. Share tips for first-time homebuyers. This is, after all, a daunting process for many, but when you share handy info on applying for loans, negotiating closing costs, conducting home inspections, and so on, you cultivate trust with potential buyers. Share home maintenance tips, proving that you’re interested in the long-term satisfaction of your clients, and that your expertise doesn’t end when all of the papers are signed. Share information about local schools and community events, which can be helpful for those moving from another city or state. Finally, there is certainly nothing wrong with sharing some of your own more attractive listings, from time to time! As for the specific media you use to distribute this information, different agents may prefer different methods—Facebook and Twitter, Pinterest, blogs, press releases, and beyond. The important thing is to make regular content creation a priority. Not only does Google reward those who continually offer it something of value—indeed, the agents who have the best search engine rankings are not the ones who consult with expensive SEO companies, but the ones who regularly blog and post to Facebook—but by prioritizing content creation, you’re ensuring that your name is always right there, in front of homebuyers, positioned as a name of respectability and trust. Interesting work Grammar Chic! We’ve found that blogging will help in almost any market at least indirectly. However, particularly in real estate, more demographics are looking to connect by 1) seeing more meaningful images and 2) viewing them on mobile devices. Unfortunately, in the real estate market, that bit of technology is still woefully behind. Online marketing is very much famous nowadays. It’s the easiest way through which you will do your any task. It’s a good if you sell your home online. It saves your time as well as by this way you will easily get many customers. There are many companies which provide this facility that you will sell your home online. Only the necessity of that you have to put all details clearly and right in the form regarding your home. So that in the future you will not face any type of problem. Try to make it as clear as you want so that it will sell in reasonable rate.